Big Blue is on a roll. The company on Monday announced a new data center in China, upping its cloud footprint to 51 data centers in 20 countries and signaling a continued enterprisewide push to make cloud computing a central component of its business moving forward. As IBM continues a strategic rebound under CEO Ginni Rometty, cloud already accounts for 17 percent of its business. But with cloud still in its early stages of development, IBM is doubling down on a few key aspects of the IBM cloud that make it different and potentially a game-changer for its corporate and government clients. What Rometty is really talking about here is deploying strong public clouds that are designed for specific industries, with data sovereignty and more security than on-premise cloud. It’s also about what Rometty calls “industrialized hybrid” cloud and choice, as well as integrated security from the chip level up through intelligent security monitoring powered by Watson. But there’s one other area that IBM is working on that holds perhaps the greatest potential for ushering in the next great era of computing: artificial intelligence that is so powerful it offers almost human cognitive capabilities. For IBM, cognitive is not a feature. It’s a foundation of the IBM cloud—a foundation built on Watson. 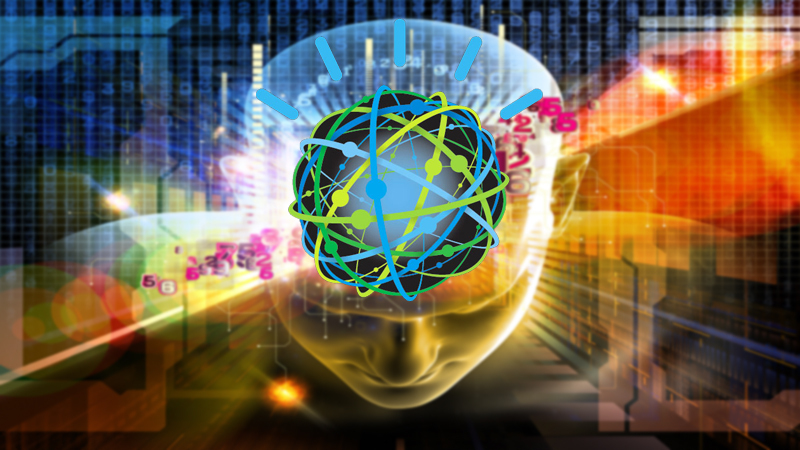 “Watson starts at one side, which is machine learning. And then it’s AI. And then it’s cognitive. That real ability to reason and understand,” said Rometty. And what about Watson’s ability to listen? “I would say and characterize it as almost human,” Rometty said. Recent studies show that humans miss about 5 percent of words used during normal conversations. Watson is fast approaching that level of capability. “We published our study a couple weeks ago and Watson is [operating at a] 5.5 percent error rate. Almost human,” she said. Randall Stephenson, CEO of AT&T, said his company is pushing IBM cloud into almost every aspect of its operations, and noted AT&T’s government work as the “poster child” for what is possible. “We’re doing so much…using IBM for everything from Watson to a lot of the intelligent services, security services, [and mobile device management], which is controlling the mobile handset requirement. One of the agencies has 27,000 handsets that are operating in this environment right now,” Stephenson said. AT&T also announced this week that it is powering its IoT environment with IBM Watson. “Think about all these really low-cost sensors that are being deployed all over the place. They’re all networked. They’re all throwing off massive amounts of data. So, what do you need in that environment? Having an engine like Watson to help organize, categorize and generate the insights for your business I think is going to change how every business represented in this room operates in the next couple of years,” said Stephenson, who joined Rometty on stage at the InterConnect conference. IBM has also placed big bets on blockchain. IBM already has 400 ongoing projects focusing on blockchain, from financial services, to supply chain, global shipping, and food safety. It recently announced a blockchain service based on its work with the Linux Foundation’s HyperLedger Fabric 1.0. “Blockchain will do for trusted transactions what the Internet has done for information,” said Rometty. According to Stephenson, the combination of networking power with IBM’s cloud—including the cognitive and security functions—are already reaping benefits for global enterprises. One example is the global shipping company Maersk. 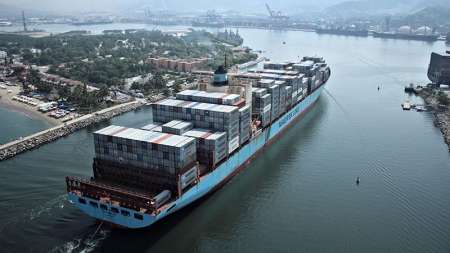 IBM and Maersk intend to work with a network of shippers, freight forwarders, ocean carriers, ports, and customs authorities to build the new global trade digitization solution, which is expected to go into production later this year. It has the potential to vastly reduce the cost and complexity of trading by using blockchain technology to establish transparency among parties. The solution is designed to help reduce fraud and errors, reduce the time products spend in the transit and shipping process, improve inventory management and ultimately reduce waste and cost. China, the location of Big Blue’s latest data center deal, has already witnessed the power of IBM’s cognitive cloud. China, which is wrestling with a major air quality and pollution problem, has leveraged the IBM cognitive cloud capabilities to take their pollution predictions to the next level.